The number one ranked hurdler in class 5A is the Mead Lumber Athlete of the Week. 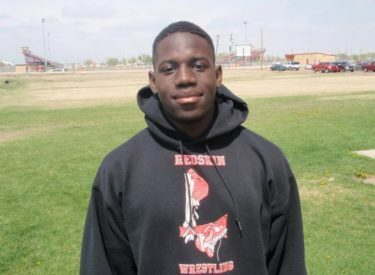 Junior Adebayou Braimah was ranked number one in 5A last week in the 110 hurdles at 15:06 and the 300 hurdles at 40:04. He is also a member of Liberal’s 4×400 relay team with Isaac Gallegos, Alejandro Avila, and Michael Sena which was won gold in all three meets. The Redskins compete at Holcomb Friday.